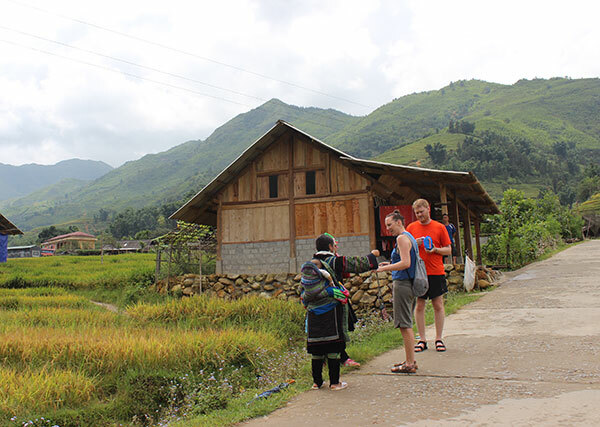 The trip brings you a chance to enjoy the beauty of rice fields and mountain as well as an opportunity to meet Black Hmong, Giay and Red Dao minorities and explore their different cultures. 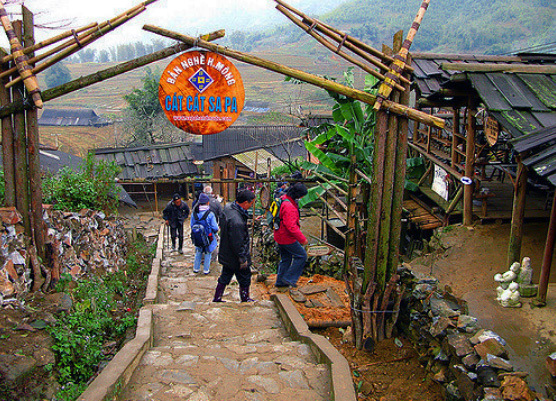 The day is devoted to a beautiful hike through the breath-taking scenery of Sa Pa valley. 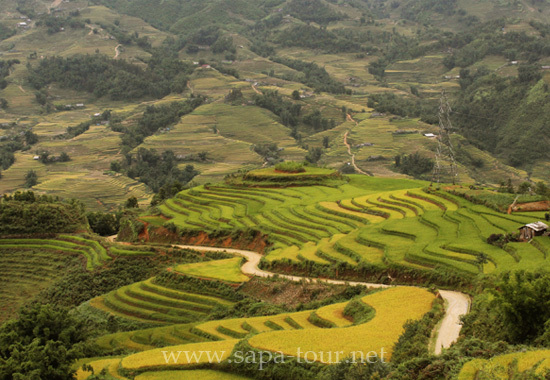 Start by road that descends in the wake of the street Cau May (6 km) En route, admire the rice terraces hidden behind mist of the morning, a truly awe-inspiring sight. 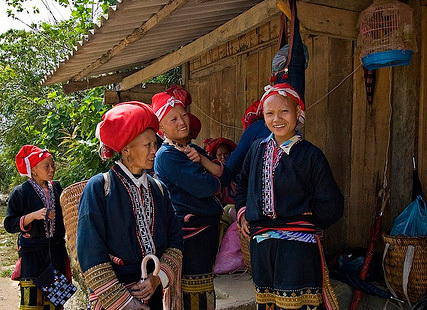 Follow a small track and cross Muong Hoa River and pass well-tended rice terraces on your way to the Black Hmong village of Lao Chai. 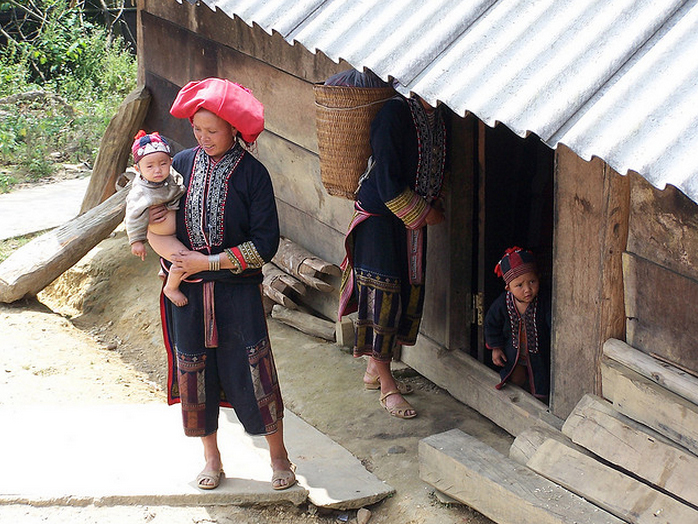 Continuing through the colorful rice terraces you will reach the village of Ta Van Giay. As you continue your trek along the Muong Hoa River you will cross a small suspension bridge, roughly 2km from the settlement. Here you can discover a fascinating collection of rock carvings. These engravings depict some beautiful images of man, stilt houses and some beautiful decorative patterns. We lunch in a home in the village. 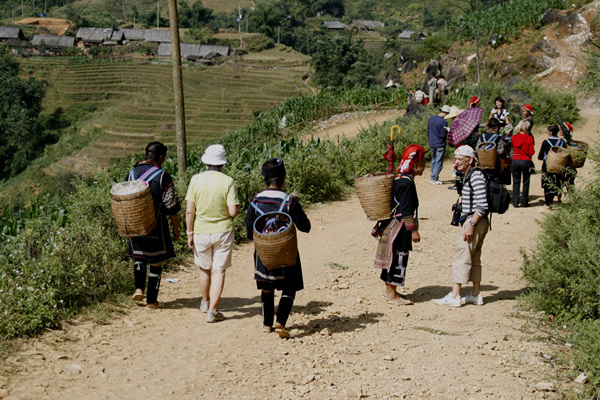 After lunch the walk continues through a bamboo forest to Giang Ta Chai, a Red Dao ethnic minority village. 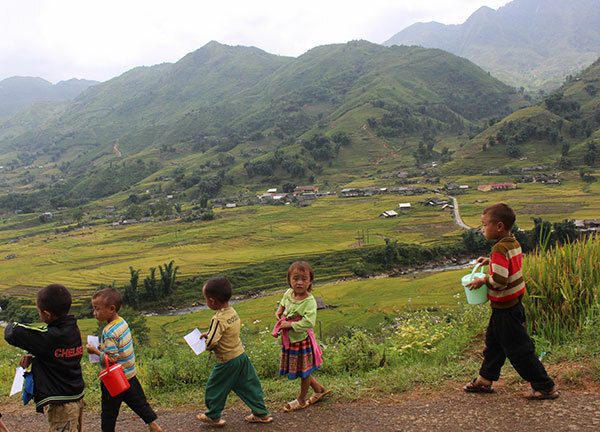 After taking a rest nearby a waterfall to refresh, you start climbing uphill to a road where the car is ready for your journey back to Sapa.